Five months earlier, construction noise from Campbell’s future admissions building drowned out a groundbreaking ceremony for the University’s massive new student union. On Wednesday, the roles were reversed. 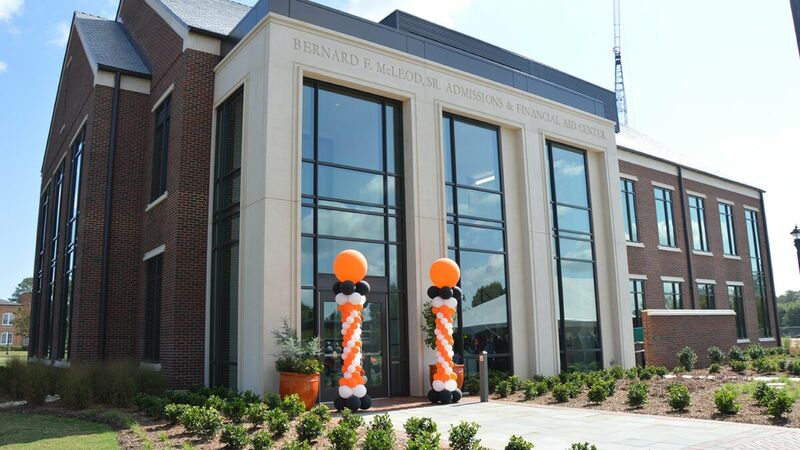 Campbell celebrated its newest structure — the Bernard F. McLeod Sr. 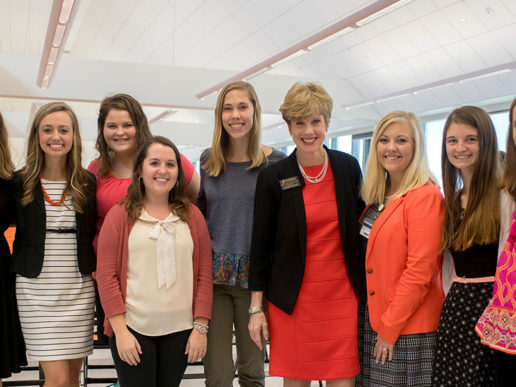 Admissions & Financial Aid Building — with a ribbon-cutting ceremony while the beeping of cranes and roaring of trucks could be heard just yards away at the site of the future student hub. 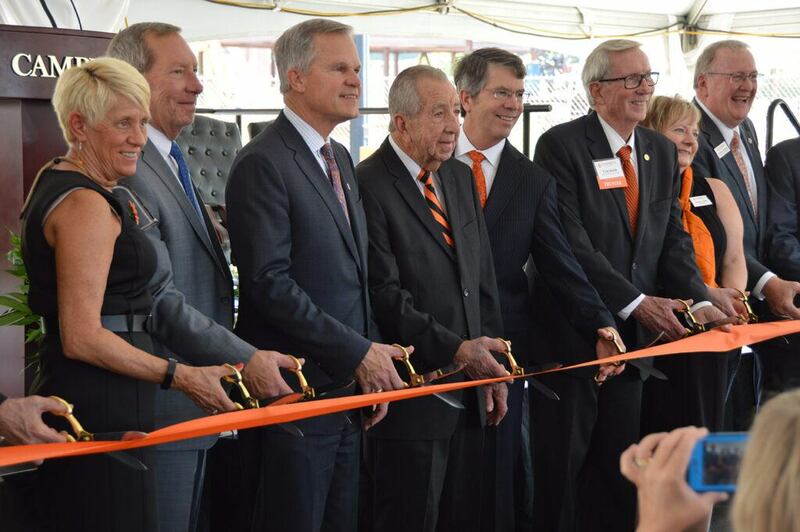 The sounds of progress only added to the excitement Wednesday as more than 100 people gathered under a white tent to cut an orange ribbon and officially open the building that will serve as a first impression for prospective Campbell students for generations to come. 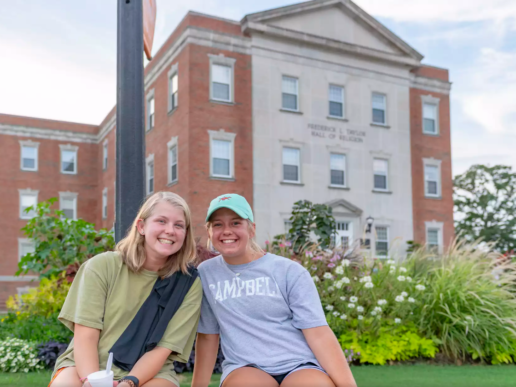 Located between Butler Chapel and the construction site for the student union, the McLeod Building houses Campbell’s admissions office on its first floor and financial aid and the business office on the second. Formerly, the three were housed in three separate buildings on campus. 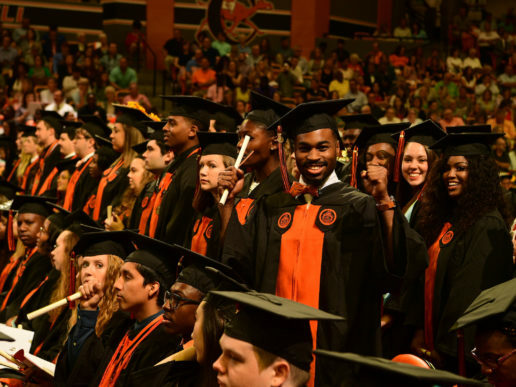 Having them together is an important step in the right direction for Campbell, said Mary Otto, director of financial aid and one of five speakers for the ceremony. 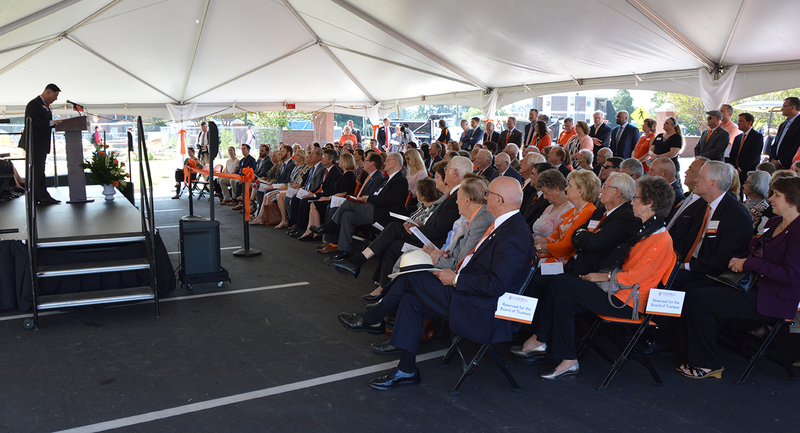 On hand for the ceremony was the son of the building’s namesake, Bernard F. McLeod Jr., a 1948 graduate of Campbell College, and several generations of McLeods who were also on hand for the groundbreaking ceremony 13 months earlier before construction began. McLeod Sr. was born in 1885 and moved to Buies Creek in the early 1900s at the request of his friend, school founder J.A. Campbell. The McLeod’s home once stood where the John W. Pope Convocation Center now stands. After completing his studies at Buies Creek Academy, McLeod Sr. graduated from Wake Forest University in 1913 and returned to Buies Creek to teach. He soon married Lacey Ann Yearby, whose family also moved to Buies Creek a decade earlier to send their children to the academy. McLeod Sr. earned his law degree from Wake Forest and opened a law office in Coats in the early 1920s. He joined the Campbell Junior College Board of Trustees in 1926, the same year Bernard Jr. was born. Bernard Sr. introduced J.A. Campbell’s son, Leslie Campbell, to the student body as the school’s new president in 1934. His son graduated in 1948 and also went on to serve on the University Board of Trustees.